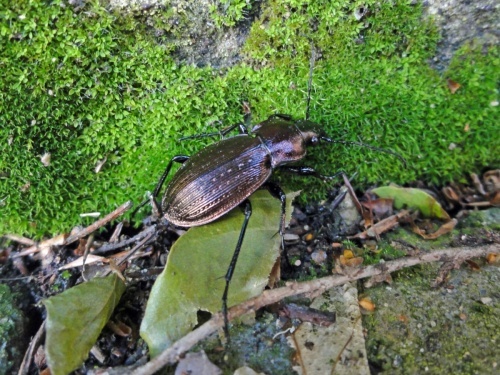 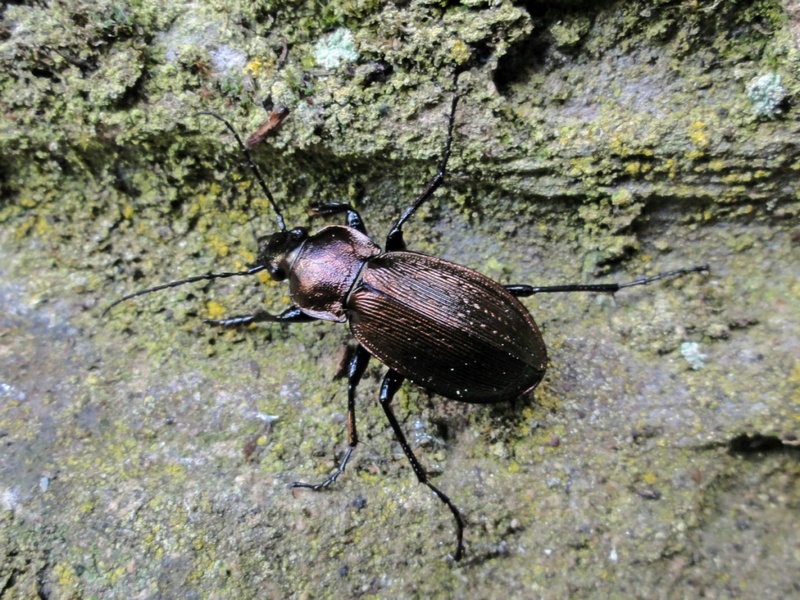 A large (22 to 26mm), greenish bronze or purple bronze ground beetle with reddish or coppery pronotal edges. Lives under stones, loose bark and among litter. 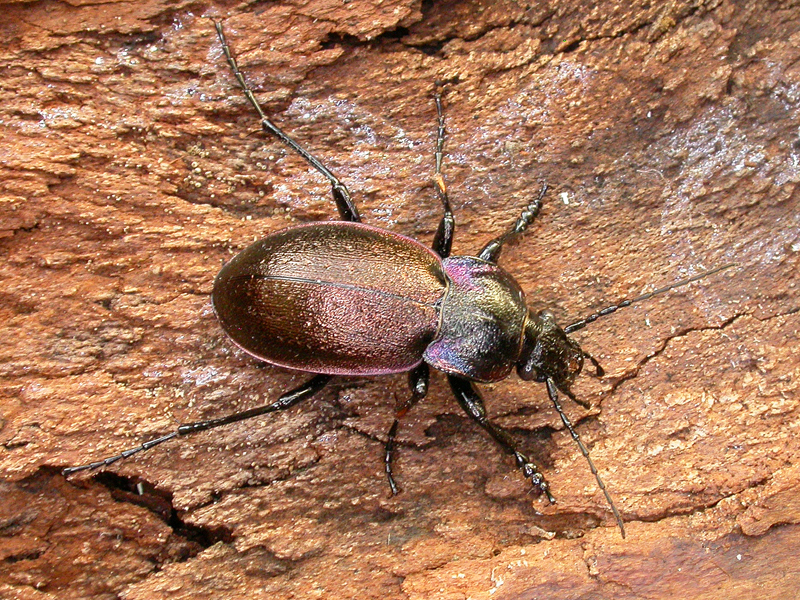 Adults are active from early spring, breed in the summer, and persist into the autumn. 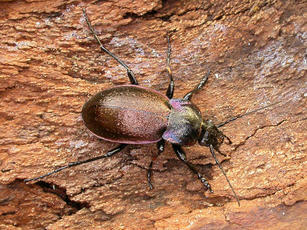 This species forages at night when prey includes slugs and snails, woodlice, millipedes and centipedes. Widespread and fairly frequent in most of Britain, but much less common in western areas and rare in Wales. 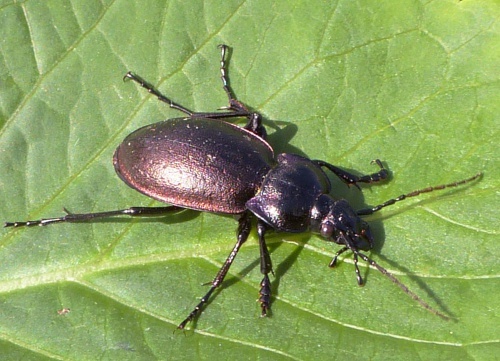 Fairly frequent in Leicestershire and Rutland. There were a total of 74 VC55 records for this species up to March 2015.